According to developer and commerce solutions provider LivePerson, the Cannes Lions Concierge was the first appearance of Apple Business Chat service in Europe and the first to use Apple's technology to power a digital concierge service. Apple has not yet officially rolled out support for Business Chat in Europe. 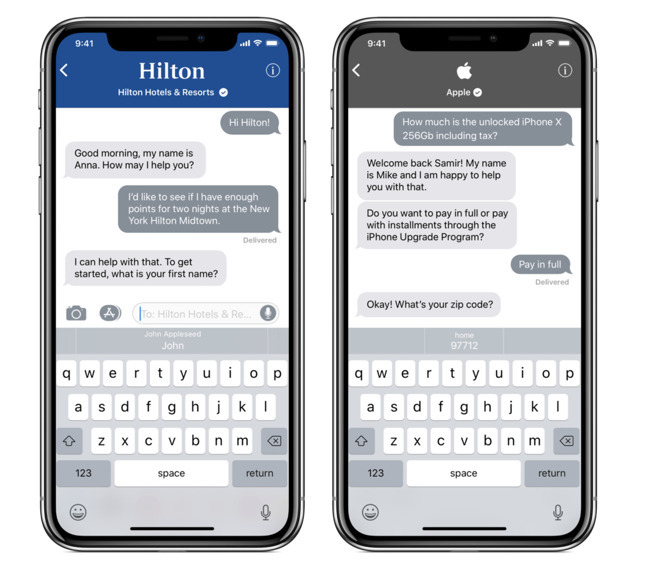 Manned by a mix of human representatives and bots, Cannes Lions Concierge offered event attendees quick access to useful information directly from Messages on iPhone and iPad. For example, users were able to ping concierge services about event schedules, shopping and dining, parties, nearby places of interest, current goings-on and more. "With the vast majority of Cannes Lions attendees using iOS, Apple Business Chat is the perfect solution for the concierge service," said Robert LoCascio, founder and CEO of LivePerson. LivePerson and its LiveEngage platform powered the launch of Apple Business Chat integrations in the U.S. earlier this year, including a rollout by T-Mobile in April. Other notable partnerships include Discover, Lowe's and The Home Depot, all of which use Apple's service to communicate with customers via Messages on iPhone, iPad and Mac. Introduced with the rollout of iOS 11.3 in March, Apple Business Chat provides businesses an outreach framework directly within Messages. The technology allows users to communicate with companies, and in some cases pay for services with Apple Pay, in a familiar format, all while protecting their privacy. Cannes Lions is no stranger to new Apple technology. In 2015, festival coordinators integrated iBeacon tech into its official app to facilitate interactive experiences for attendees. Using Bluetooth Low Energy communications, iBeacons allow app makers to build in highly accurate location-based functionality like real-time venue information and social networking features. Apple itself was on hand at Cannes Lions to accept awards for its marketing and branding efforts.